Mango pulp, heavy whipping cream and gelatin are the ingredients here in this mango mousse recipe which contributes it's heavenly taste. Mango is the fruit which most of Indians like. 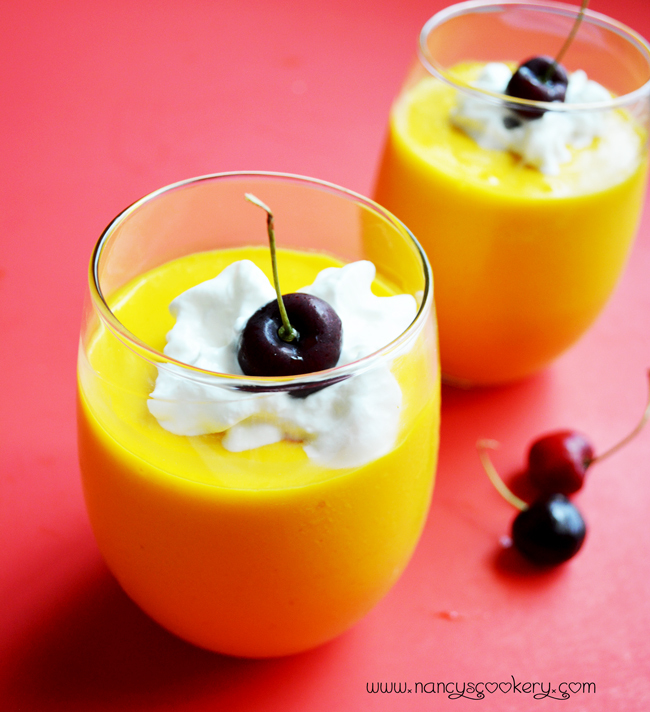 Hubby is a great fan of mango and this mango mousse. So I tried this and he liked it very much. Besides their sweetness mango also has some nutritional benefits. Mangoes are rich in dietary fiber, Vitamin-A and potassium. 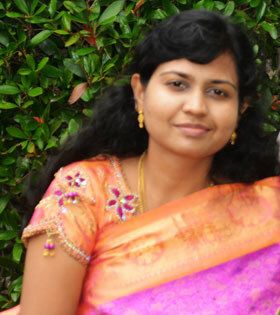 Mango also has anti-oxidant properties. Eating mango fruit can protect against colon, breast and lung cancers. 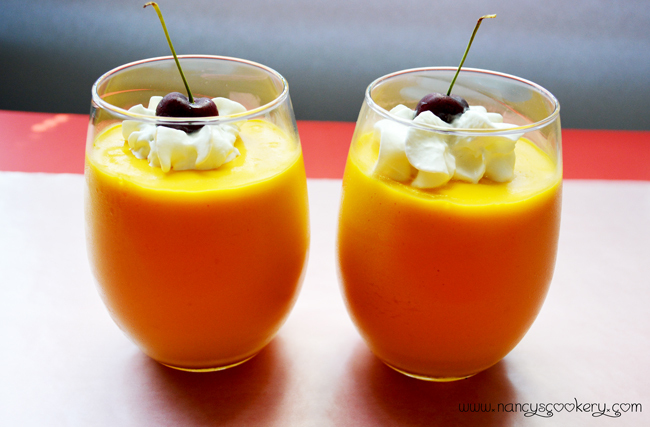 Mango Mousse Recipe - without egg. explained with easy stepwise pictures. 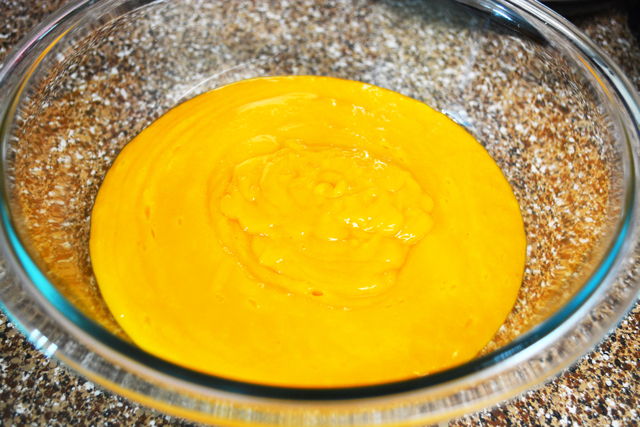 Add mango pulp in a mixing bowl. 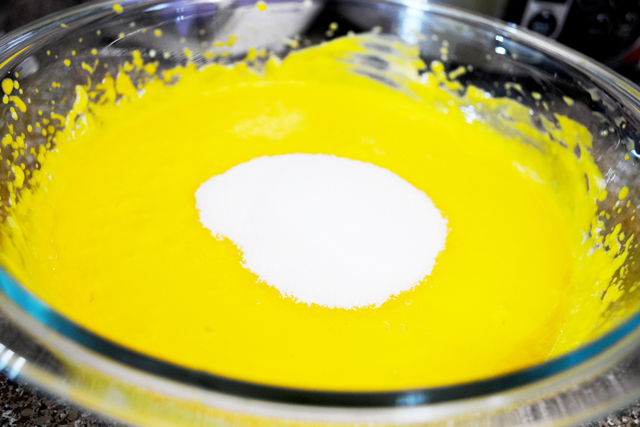 Then add the whipping cream with the mango pulp and beat it to blend it well. Then add sugar to the mixing bowl and beat it again until the sugar is combined with the rest. 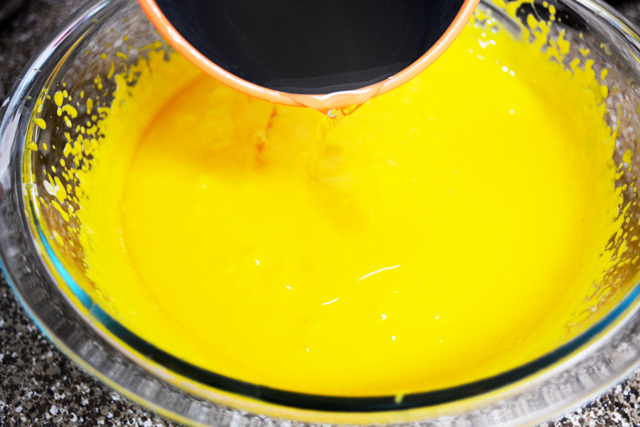 Dissolve gelatin in half cup hot water and add it to the mixing bowl and beat everything until it's mixed well. Pour the mousse into cups/trays and refrigerate it for 3 to 5 hrs until mousse is well set and serve it with whipping cream and cherry garnish. 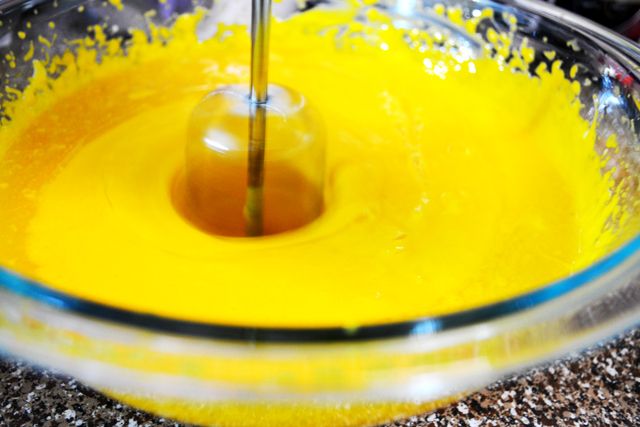 Pour mango pulp in a mixing bowl. 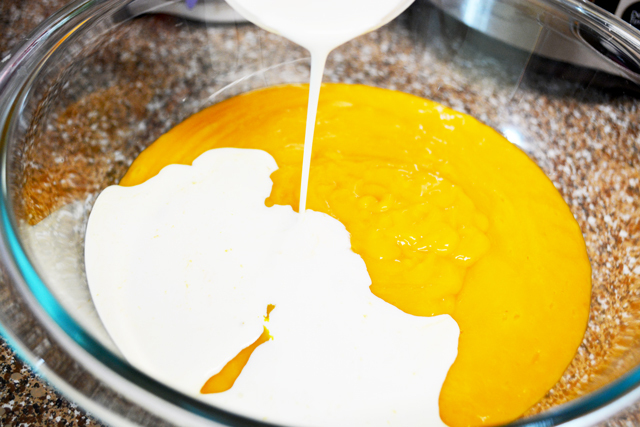 Add heavy whipping cream to the mango pulp in the mixing bowl. Beat it well with the until all the whipping cream is mixed with mango pulp. Now you can see the slight change in color of mango pulp. 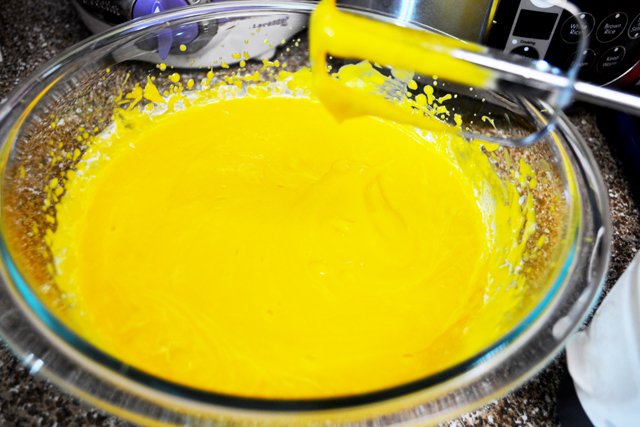 From Mango yellow to pale yellow after mixing it with heavy whipping cream. Now add sugar to the mixing bowl. Actually you can beat the sugar and heavy whipping cream and sugar in separate bowl then add it to the mango pulp. But I added everything in the same bowl and just mixed everything well without beating it to form soft peak. But it tasted great with exact mousse texture and mousse consistency. Combine it well with the rest in the mixing bowl. 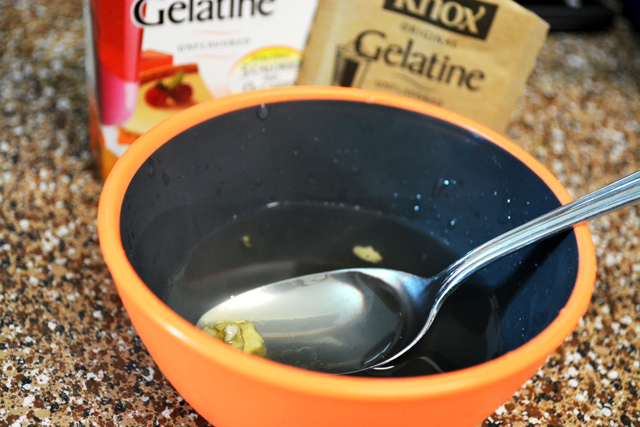 Dissolve gelatin in half cup warm water without any lumps. Add the gelatin to the mousse mixture in mixing bowl. 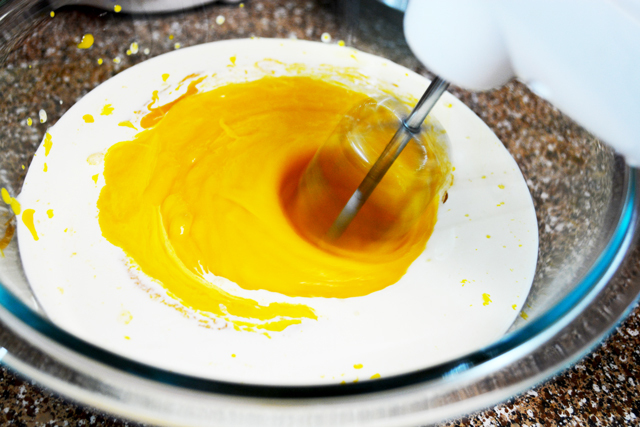 Beat it well until the gelatin is completely blended with the mousse. Now pour the liquid mousse into glasses or tray in which you would like to serve. Refrigerate it for 3 to 5 hours until the mousse is set. Then garnish it with whipping cream and cherry or any fruits of your choice. Now the tasty mousse is ready to serve. 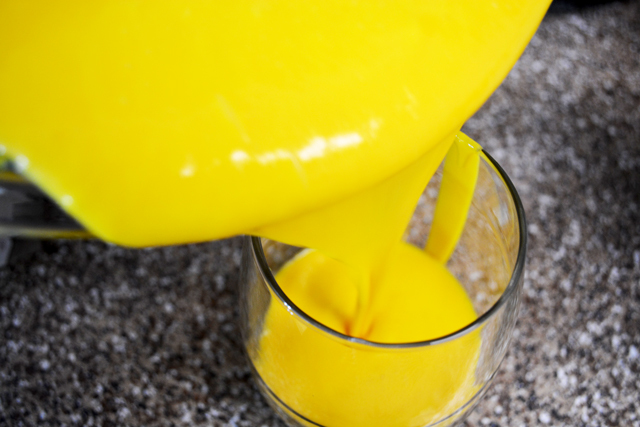 You can beat the sugar and heavy whipping cream and sugar in separate bowl then add it to the mango pulp. But I added everything in the same bowl and just mixed everything well without beating it to form soft peak. But it tasted great with exact mousse texture and mousse consistency. 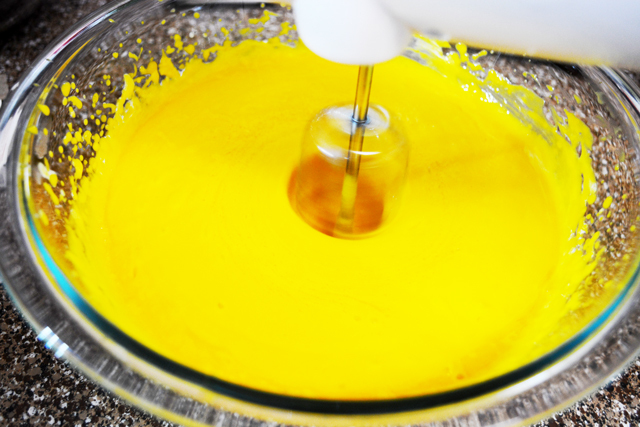 If your mango pulp was in refrigerator, bring it to room temperature before preparing mousse. 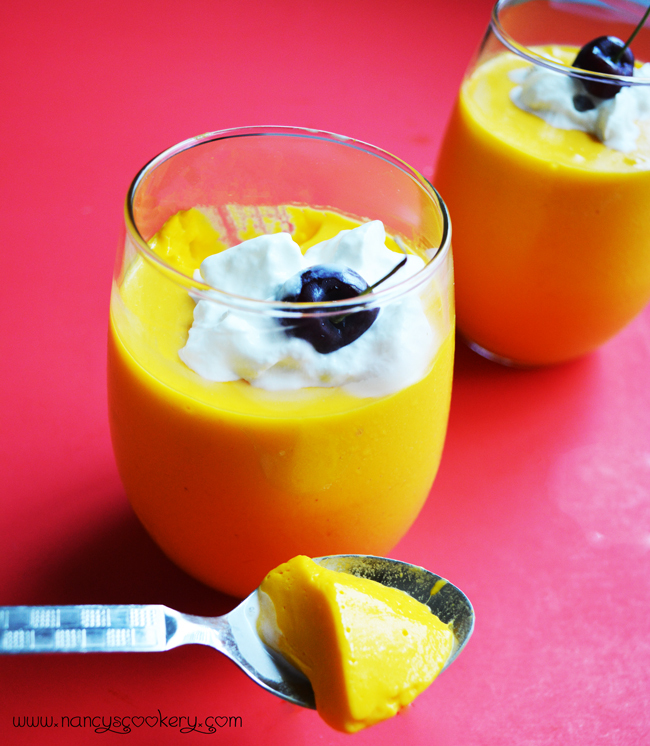 Adjust sugar according to the sweetness of the mango pulp you are using.